3.2 out of 5 based on 22 bloggers and 2 commenters. 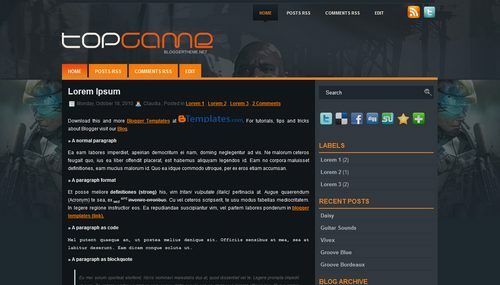 Top Game is a free blogger template adapted from WordPress with 2 columns and right sidebar. 1° step: Create your own logo. You may use the psd file included in this template (logo.psd).